At Dumbo, Waiting to Ride is Part of the Fun | What's the Point? 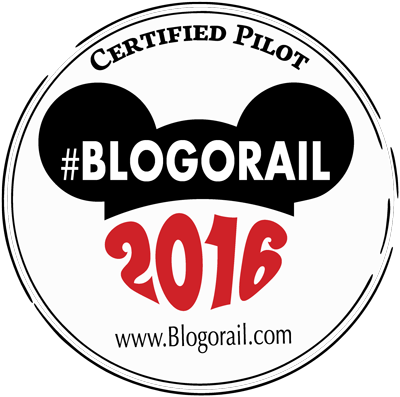 Welcome to this month's Blogorail Green Loop. Today we are sharing some of the best queues at the Disney Parks. 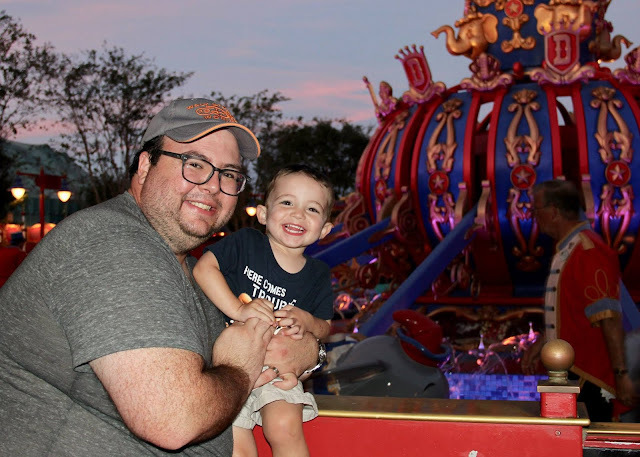 We all have stories about our first visit to Walt Disney World Resort, or our kids' first trips. My aunt's frequently tells the story about the first time they brought my cousin (then a toddler, now a college student) to the Magic Kingdom. It was Fourth of July in Orlando and it was sweltering. Nobody was in a very good mood, and the only ride my cousin wanted to ride was Dumbo. Dumbo is notoriously slow loading and unloading and the line seemed to be endless and without shade. After hours (yep, hours) of waiting, it was finally their turn. They climb into Dumbo, it starts to run and my baby cousin pushes the lever, Dumbo jolts, she smacks her face on the console and starts bleeding profusely. Understandably, their first visit wasn't a magical experience. 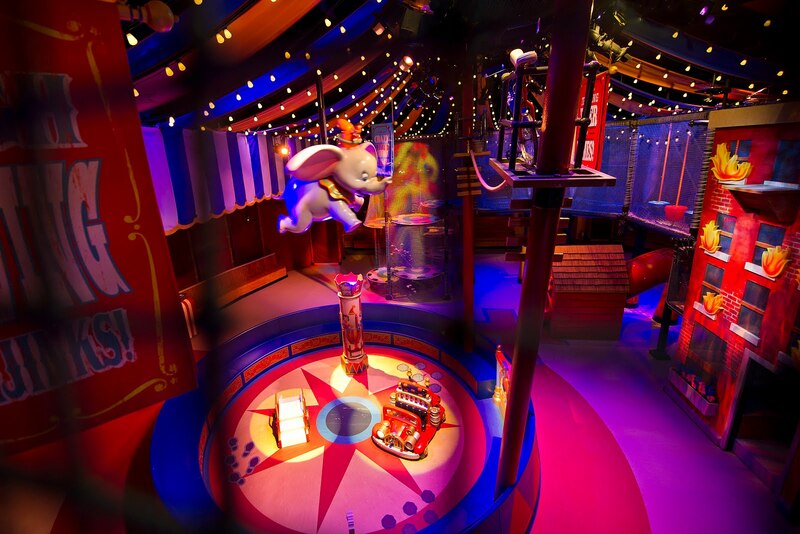 And while not every guest had that nightmarish experience, in the past five years, Disney has vastly improved the Dumbo experience at Walt Disney World. 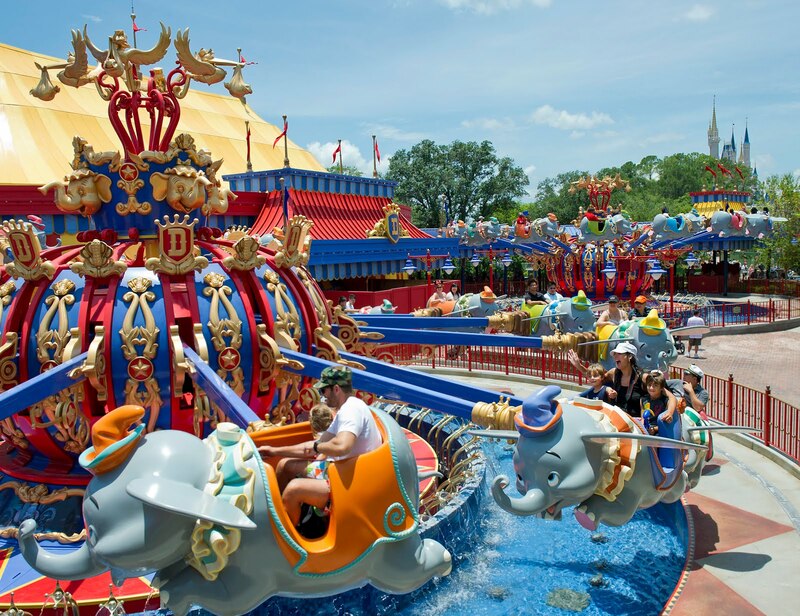 Since New Fantasyland opened in 2012, we saw a glimpse into modern-day Dumbo. Here are some details on Dumbo's "queue." The line is generally shorter, because a second Dumbo "spinner" was added, doubling capacity. The ride is outside, but you wait inside a big top tent. Rather than standing in line (which I can tell you, is never fun with toddlers) you now can let your child run around and play in this interactive play area. You get a pager on your way in that will alert you when your Dumbo is ready. It is wonderfully, beautifully, perfectly air conditioned. It is a wonderful experience, and even if you don't have kids, you can appreciate spreading out versus standing in line and the increased capacity. My one and only gripe is that there are no restrooms inside the tent, and you must exit the ride to access them. But really, no ride has restrooms inside, so it's truly a minor complaint. How do you like the Dumbo queue at Walt Disney World? 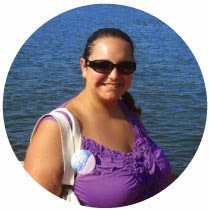 For more great Disney queues, check out the other great posts from the Blogorail!